The Dream Resource Center is proud to release its newest report for and by immigrant youth on health, Pol[ICE] in my Head. Part of the first statewide study by and about immigrant youth on health, the report details how the threat of policing and deportation takes a toll on the mental health of undocumented youth. The Dream Resource Center’s Healthy California project develops leaders at the intersection of immigrant rights and healthcare access, and promotes immigrant wellness throughout California. As part of the Dream Summer internship, immigrant youth in the 2013 cohort surveyed over 550 immigrant youth across the state to produce the study Undocumented and Uninsured. 71% of uninsured immigrant youth have an existing need to access a doctor or specialist about their own health; however, 53% stated that they have not seen a doctor for more than a year. 50% of uninsured immigrant youth delayed getting the medical care they needed. Of those, 96% reported the main reason was cost or lack of insurance. 74% of immigrant youth report they resort to band­-aid care for services, such as emergency Medi­-Cal, public hospitals, and community or county health clinics. Healthy California interns have also developed resources to inform undocumented immigrants in the state about the health care services they can avail despite exclusion from the Affordable Care Act. 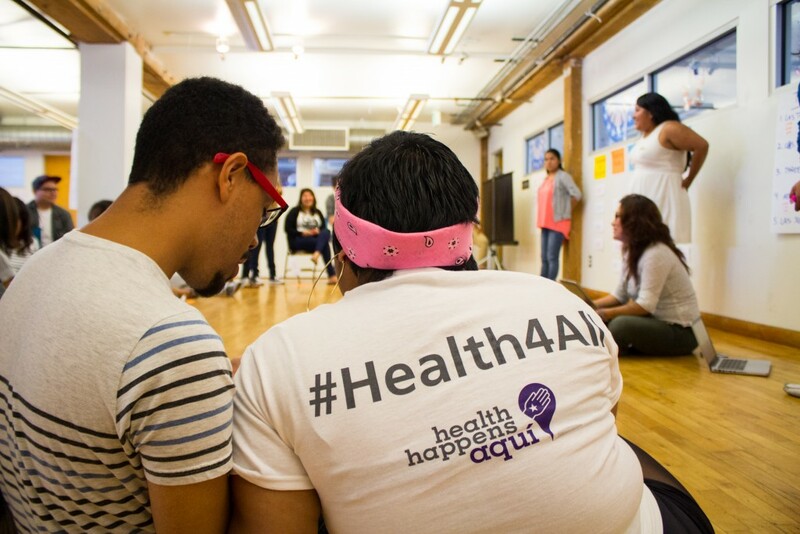 Healthy California promotes #Health4All to address the health needs of all Californians, regardless of their immigration status. Visit the Undocumented and Uninsured website to learn more.